I never saw this place in my travels, I love it! Great photo! I need to stop here when I come back for a visit! It's one of the few old giant signs/storefronts left. On the north side, near Church Street. I love this store. 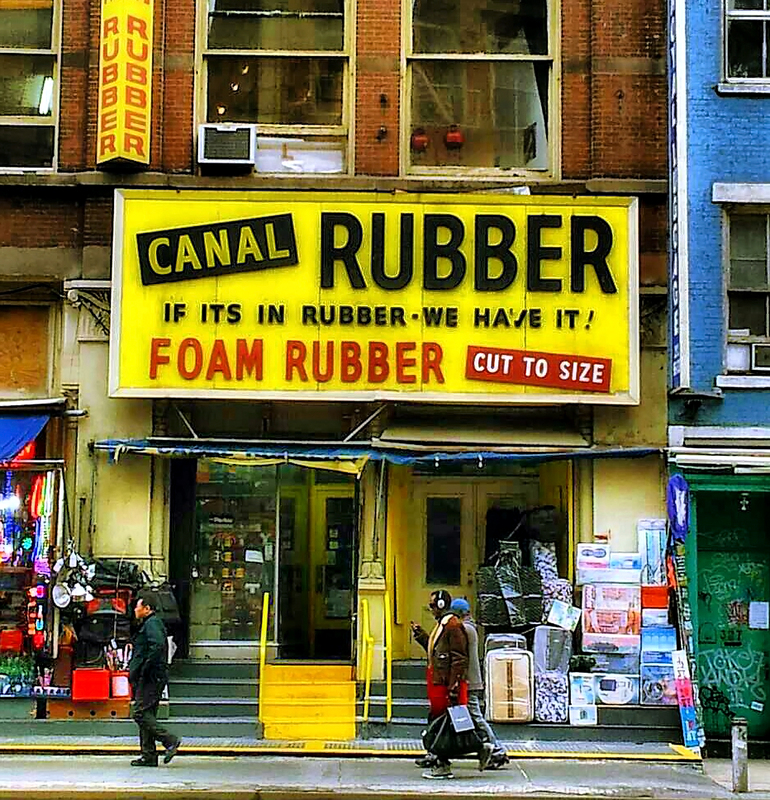 I never went in, but if I needed rubber, it was reassuring to know it was there. This is one of my favorite stores on Canal - very happy to see it on The Gog Log! Oh & did you see the Mitchell piece in the New Yorker? Me, too. After the foam store on Houston disappeared, I like knowing this one is still there if I need it. I still have yet to do that - thanks for reminding me, I'll look it up today.